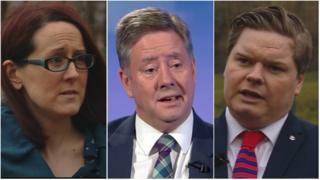 Nominations have closed in the SNP’s deputy leadership contest, with three candidates in the race. Party members are to elect a new deputy for leader Nicola Sturgeon after Angus Robertson stepped down, having lost his Westminster seat in the 2017 election. MSP Keith Brown, councillor Chris McEleny and activist Julie Hepburn are the three candidates for the role. The winner will be announced at the SNP conference in Aberdeen in June, after a series of hustings events. Here is some background on the three candidates and how the race will develop. Probably the highest profile figure in the race is Scottish Economy Secretary Keith Brown. The former commando served as a Royal Marine during the Falklands War, and was leader of Clackmannanshire Council before being elected to Holyrood in 2007. He has been a government minister since 2009. Mr Brown ran for the deputy leadership in 2014, but finished second behind Stewart Hosie. Julie Hepburn is not an elected representative with a public profile outside the SNP – but makes a virtue of this, saying the focus of the deputy leader should be internal. She works as a research manager for an MP, and has held significant positions behind the scenes of the party – including stints on the party’s national executive committee and as political education convener. The activist is targeting internal reform of the SNP’s structures, to “revamp the policy processes” in light of the huge influx of new party members since the 2014 referendum. 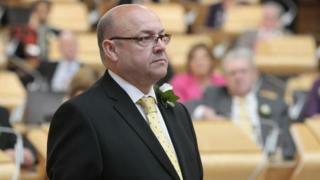 Chris McEleny is leader of the SNP group on Inverclyde Council. He was first elected as a councillor in 2012. A figure on the left of the party, he ran in the previous deputy leadership election, finishing fourth. 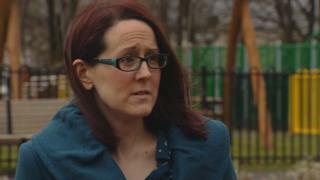 Mr McEleny has put independence at the heart of his campaign, calling for a new vote within the next 18 months. A series of other party figures were linked with the post, but either ruled themselves out of contention or dropped out of the race. 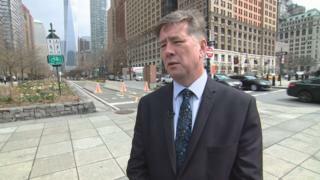 MSP James Dornan was the first to declare his candidacy, but ultimately withdrew earlier in April, saying he was instead going to focus on fighting sectarianism. He has backed Julie Hepburn for the post instead. Westminster group leader Ian Blackford ruled himself out of the running in February, saying he wanted to concentrate on his current role and his constituency. Fellow MP Tommy Sheppard, who was the runner up to Mr Robertson in the previous contest, also decided against running. Long-standing Perthshire MP Pete Wishart initially considered standing, but ultimately decided that he did not “have sufficient support within the party”. 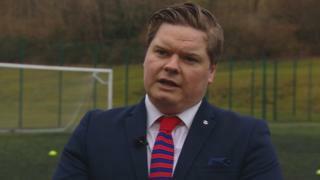 He later wrote on his blog that he had been “concerned” that a debate over the future direction of the independence movement might “dominate” the race, having come under fire on social media for his position of not holding a new referendum until there was “good evidence it could be won”. With nominations now closed, the three candidates will go head to head at a series of hustings events up and down the country. This will give them the chance to set out their positions in front of party members from Dumfries and Galloway to the Highlands. Ballots open on 18 May, with one vote per member using the single transferrable vote method familiar from Scottish council elections. The winner will be announced at the SNP conference in Aberdeen on 8 June.